Markus Schultz - all set for Creamfields, 15 August. Markus Schulz has built himself a stellar reputation as one of the global leaders in production as well as a world renowned DJ. His own label, Coldharbour Recordings has delivered over 60 A-list releases within three years. Originally from Germany, Markus moved to the USA aged 13 and quickly become engrossed in the break-dancing scene of the time. He’s currently listed at number 8 in the prestigious DJ Mag Top 100 DJ poll 2008 – a position no doubt set to rise. The first record I ever bought was Zapp – “More Bounce To The Ounce”, believe it or not that was one of my favourite songs and I convinced my father to buy it for me. Your music is described as dark, melodic, dance music. How would you describe it? I would agree with the dark and melodic part – it’s a good way to describe it. I’ve always been more into those kind of melodies as opposed to the big over the top superstar riffs, and I think that’s why I’ve gotten so much attention. I’m kind of the anti-trance, trance guy! You’re a veritable globe-trotter. Have you visited Malta before? Tell us two things you know about the island. I’ve been to Malta before and I had a great time, I really look forward to playing there as I don’t think many people remember the last time I was there! Good friends of mine come from there and they are always telling me how much of an amazing place it is! When do you know that a gig is going really well? What’s the perfect vibe? I know a gig is going really well when I see more and more people hanging around the DJ booth. People seem to want to be around the decks when the party is going off. When did you find out you were afraid of heights? What else scares you? I’ve always been afraid of heights ever since I can remember. It’s always been a problem for me not being able to enjoy things that other people do like roller coasters. In fact I never used to fly on airplanes till I started DJ’ing and started being booked in different places – it was quite a thing for me to overcome! Snakes and rats are the other things that scare me. What’s the upside and downside of travelling the world? And how do you slow down? Having to deal with airlines and tourist travelers who slow everything down. It’s one of those things you have to deal with, when I travel I just try and shut myself off mentally and get into a zone where I am focusing on music or the gig I am heading to. Musically or overall? Wow always a tough question… Barack Obama, Nelson Mandella? I can’t pick! I do – I think that the fact that festivals like Creamfields are coming there is a great start and if it is successful you will see a lot more things happening on the island. It’s a beautiful place to go to and there are lots of great fans there – it’s really a case of putting it all together. That’s going to be the key to making the island a regular desitnation. Definitely not beer, I don’t like it. Wine on planes and fruit juice in the mornings. Other than that, water all the other times. You should have asked me what I am working on at the moment! I am working on my next artist album which I am very excited about – there are some great things down already. When I am making an album I make about 20 tracks and then pick the best 13 to be feature on the album. At the moment 7 are finished, so I may start testing them out in my gigs soon! 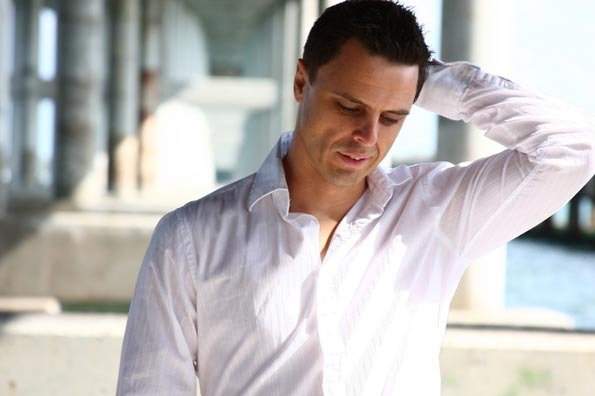 Marcus Schulz is on the Main Stage at Creamfields at midnight on 15th August. For more information, check out the Creamfields website.